The Touring Car Register is set out to record all genuine touring cars that have been built to the 2-litre Touring Car formula since 2001. With the success of the Super Touring Register, covering touring cars built between 1990 and 2000, this site sets out to identify and record the movements of cars that were built to BTC-T, S2000 and NGTC regulations. Not only do we list the movements of these cars wherever they lead but we intend to give a pictorial trail to each car. And with over 55 different models of cars, our task is immense. The core of our information comes direct from owners and operators of these cars, teams and manufacturers and a big thank you goes to the people at TOCA. To combat the ever-increasing costs that were being spent during the ‘Super Touring’ era and the downturn in the world economic climate. 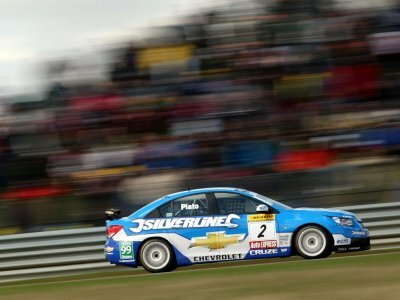 The organizers of the British Touring Car Championship introduced the new BTC Touring regulations in 2001 to help dramatically reduce not just running costs but also manufacturing costs. The introduction of controlled component parts along with other cost cutting effects would see an initial luke-warm reaction to the new concept from both Manufacturers and teams. BTCC stalwarts Vauxhall dominated this class but due to the globalization of the S2000 class that was introduced just one year after the introduction of the BTC Touring concept. This class would only survive until 2006 when the S2000 would be the mainstay of the BTCC. Super 2000 was the FIA’s replacement for the Super Touring class that dominated the 1990’s. Although not sanctioned until 2002, the specification was more for production based race cars allowing more manufacturers and privateers to race by reducing the cost of a competitive car. With many manufacturers embracing the category it would evolve into the World Touring Car Championship. the formula would become the standard for many national and international series with as many as 19 Manufacturers represented by 32 FIA or locally homologated models. The class has undergone some technical changes over the years to embrace market trends with the inclusion of turbocharged engines but the ethos of the category remains. TOCA introduced the ‘Next Generation Touring Car’ into the BTCC in another attempt to reduce ever spiraling costs imposed by the manufacturers of the Super 2000 class. Regulations are based around 2.0-litre turbocharged 4 or 5 door cars with the engine coming from either the same ‘family’ as the model of car or with the option of running a generic ‘unbranded’ engine sanctioned by TOCA. A series of common components that included gearbox, suspension, brakes, front and rear sub frames, turbo, electronics, ECU and fuel system are all TOCA-sourced items. This gave scope for as many as 14 different models to be built, many by teams that would have not done so in the past. The success of this category can be gauged by the fact that it continues to field a full grid of 32 cars with close racing. With the announcement today of two more Honda Civic (FK8) NGTC-18-003 & NGTC-18-004 for BTC Racing.